Sometimes. I have a library/music room in which I organise books on the shelves by category (e.g. history, classics, paranormal etc.). On occasion I rearrange the shelves, particular if I find I need to create extra space for a certain category. These days I try to only purchase hard copies of books I know I want to keep forever; however, I still have a small number of general fiction paperbacks that I may never reread/don't desperately wish to retain, and if space became an issue in the future, I would consider shedding a few of those and selling/gifting them to create room for more 'keepers'. 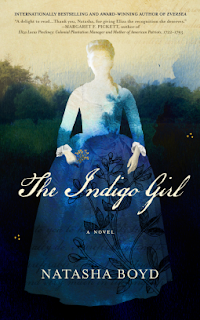 When I look back upon my struggle with indigo, it appears in my consciousness as a dream. I knew men's chests were like ours, without breasts. But though I wasn't close, I could see the lines of body and muscle beneath skin, like you could under the fur of a strong horse. That cover is really beautiful. The protagonist sounds so young in that excerpt. I love rearranging my shelves. Sometimes by genre, author, or randomly. I find the whole process kind of calming. Hope you enjoy your weekend! The book sounds good! But from the teaser I too think the heroine is gonna be young but that sometimes turns out to be fun too. Hope you enjoy this book! She's 16 at the start, but then the action takes place over a few years. It is difficult to give away books, but I do. There are some books that I cannot give away. Nice answer...thanks for sharing. We have similar thoughts. Not sure if it's for me, I need more. :-) Happy weekend! I have a hard time giving away books, but I have gotten better at it. I try to only keep around books I still want to read but haven't and books I want to keep and want to revisit one day. I generally only re-arrange when I'm culling or adding new books. I hope you have a great rest of the weekend! Thanks Maria. I'm rather OCD when it comes to organising! Me too! I finally got one in my new house. Now I just wish I had more free time to spend in it! Hi, Loreen. Thanks for stopping by! Yeah, it's a pretty one! 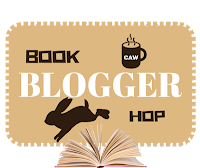 Great blog hop answer I do the same with the books I know I will not re-read or going to read I just give them away too charity or give them away too used book stores. Thank you so much for stopping by my blog hope Nicki. Thanks for stopping by here too!